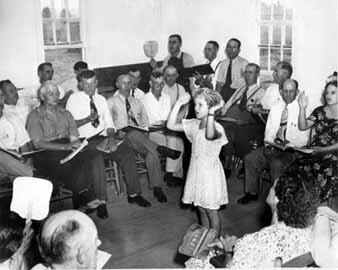 Sacred Harp Singers. Looks like fun! 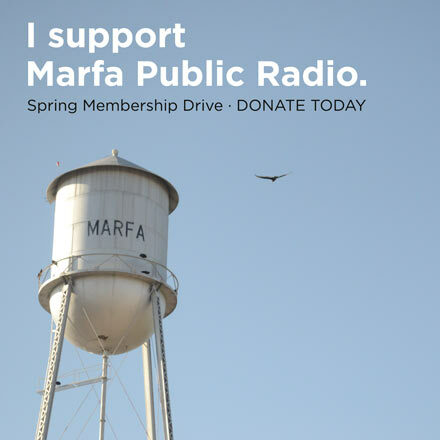 Marfa resident and Sacred Harp singer Ryan P. Young joins us to talk about the long tradition of Sacred Harp singing. Scared Harp singing is a religious choral tradition that has its roots in 1800′s America. Sometimes called the first truly original American music, it almost died out in the mid-twentieth century except in small pockets of the deep South and East Texas. In the last few years Sacred Harp music has experienced something of a revival as people discover the stark, haunting, and joyful melodies of the Sacred Harp. Young has participated in several Sacred Harp conventions and singing groups, and is in the process of putting together a group in the Big Bend.